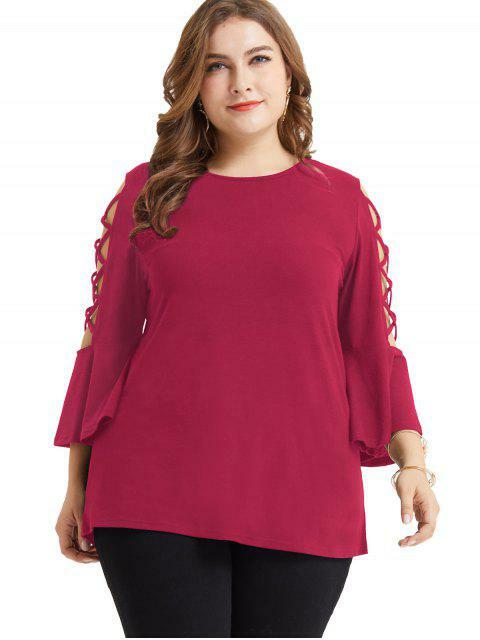 [44% OFF] 2019 Lattice Flare Sleeve Plus Size Tunic Tee In ROSE RED | ZAFUL .. 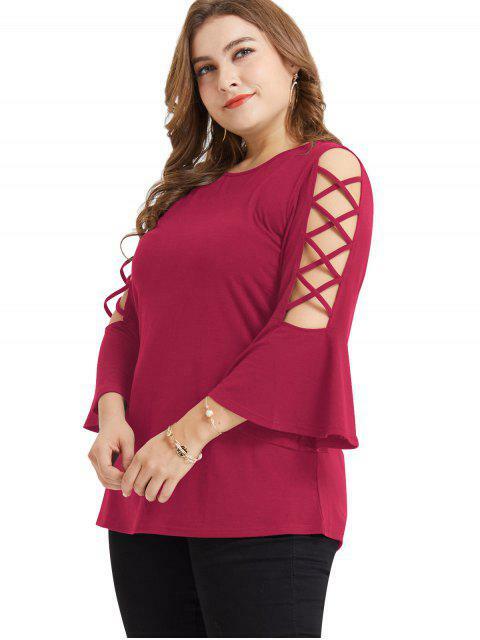 Solid but chic, this pullover top features flare sleeves of three-quarter length with eye-catching crossed lattice on and a classic round collar. 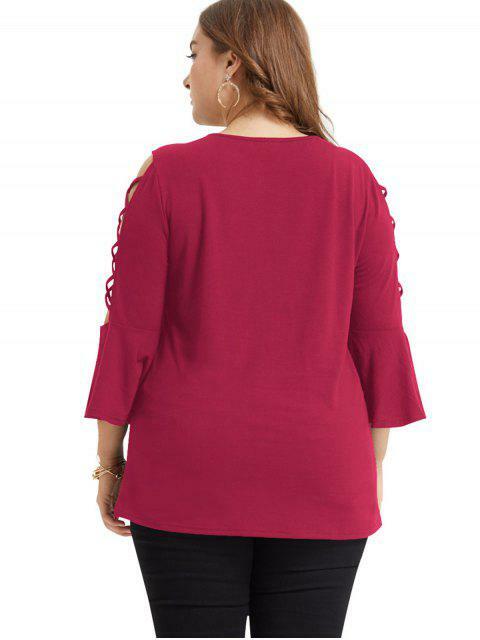 Just feel it free to pair it with leggings or jeans for the laid-back looks.